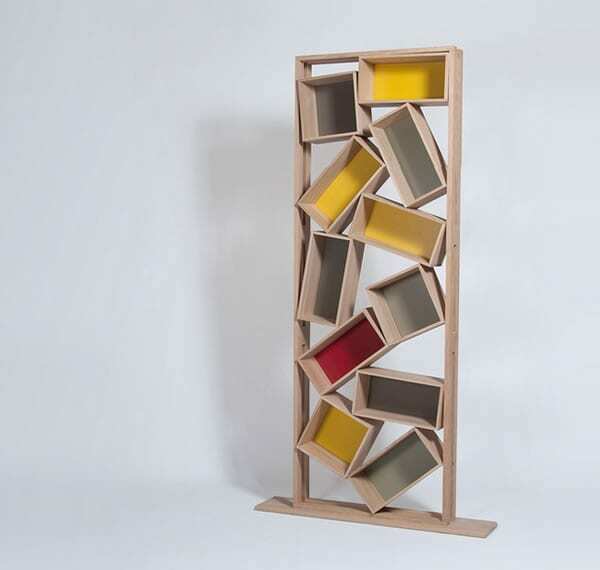 Appearing all chaotic, the BRIC À BRAC bookcase from Les Ateliers du Drugeot is one stunning piece. It puts books, CDs, DVDs, folders, and other essentials in order. It is comprised of eleven units arranged in an asymmetrical pattern. The units are connected to each other and are available with colorful backs or without backs. The backs are made from solid wood in plain or lacquered form. The backless units are elegant and revealing just like a backless dress. They are perfect for places where you want to keep things simple but also make a statement. The BRIC À BRAC bookcase by Les Ateliers du Drugeot is ideal for those looking for bookcases that are out of the ordinary. 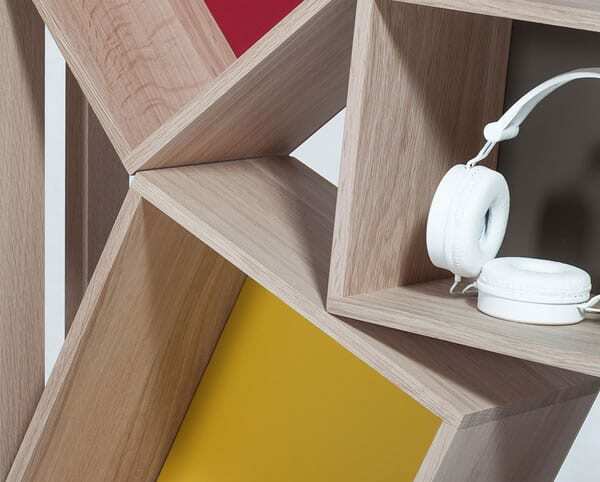 It is made from solid oak obtained from a sustainable forest in France. The piece is designed by Drugeot-Labo and has a unique and original style. It is an excellent way to decorate a wall and to store your essentials. To create a fun and playful look in your living room, get the piece in vibrant colors. These days, bookcases are no longer commonplace. They can be used to display books, pieces of art, and even media equipment. 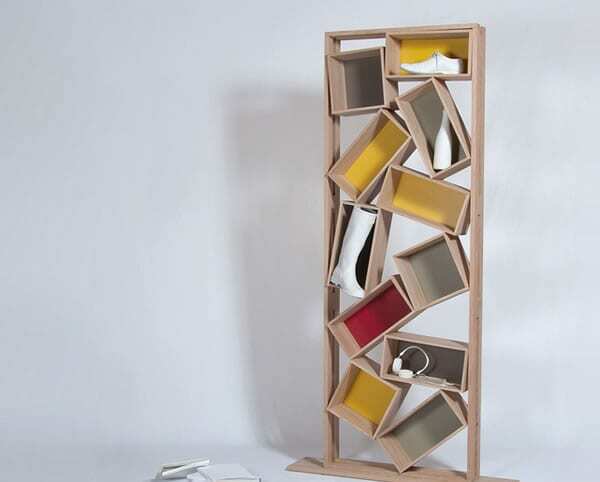 The BRIC À BRAC bookcase will display your book and mementos in style. It is a fresh take on a contemporary bookcase and will excellently display your framed photos, bestsellers, and decorative objects. Get one today and make your home the best in town. Would you get the BRIC À BRAC bookcase in the plain or lacquered finish?